付俊彧, 杨晓平, 杨帆, 汪岩, 那福超, 钟辉, 于宏斌, 孙巍, 宋维民. 吉林延吉开山屯地区柯岛群碎屑锆石年代学研究及地质意义[J]. 地质通报, 2018, 37(6): 1037-1049. 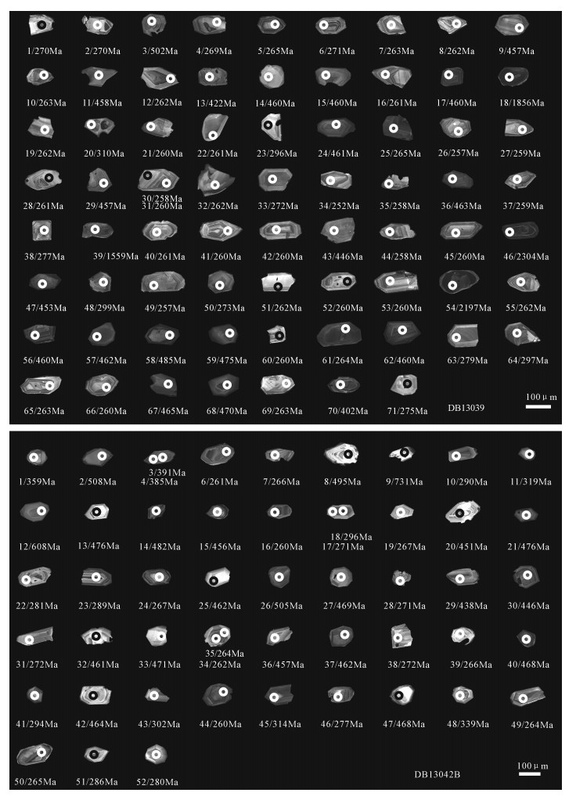 Fu J Y, Yang X P, Yang F, Wang Y, Na F C, Zhong H, Yu H B, Sun W, Song W M. U-Pb age study of detrital zircon of Kedao Group in Kaishantun area, Yanji, Jilin, and its geological significance[J]. Geological Bulletin of China, 2018, 37(6): 1037-1049. 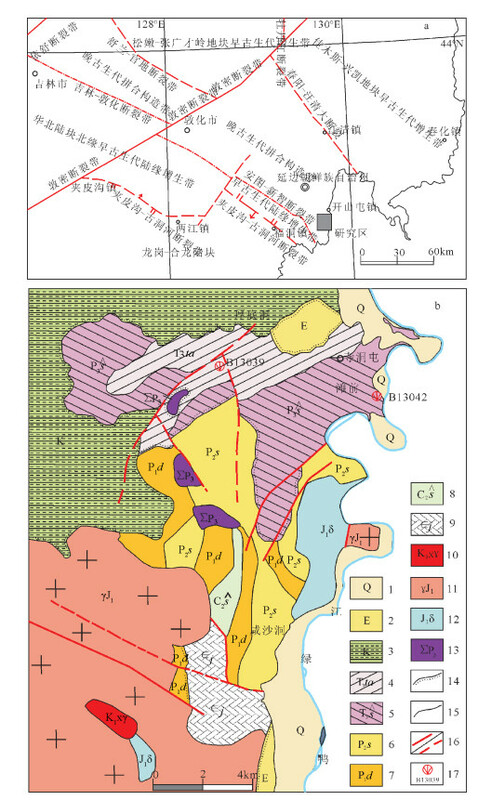 Abstract: Kedao Group is distributed in Kaishantun-Wangqing area at the east end of Changchun-Yanji tectonic zone. The out-cropped Kedao Group in Kaishantun area lacks fossil basis, and hence its age assignment is still in doubt. 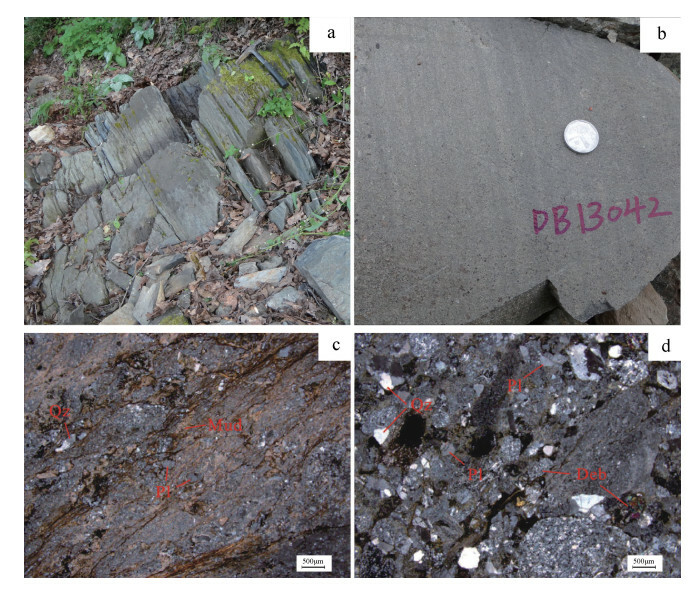 In this study, representative samples were collected in the upper and lower part of Kedao Group, and the detrital zircon U-Pb (LA-ICP-MS) dating was con-ducted. The ages of the upper fine detrital zircon are 252～2304Ma and those of the lower crude detrital zircon are 260～713Ma, re-spectively forming two similar peak ages. The former two peak ages are 263±2Ma and 460±4Ma whereas the latter two peak ages are 266±3Ma and 463±4Ma, suggesting that clastic sediments were mainly derived from the geological body of Ordovician and Permian. The youngest zircon is 252Ma in age while the rest ages relative to the youngest zircon ages are concentrated in Early Late Permian. According to combinational sedimentary formation assemblage characteristics of Kedao Group and regional correlation, it is conclud-ed that the age should be Early Triassic, and they are intermontane quasi-molasse sedimentary rocks due to the rapid uplift of the oro-genic belt after the closure of the Paleo-Asian Ocean. 图 3 样品在剖面上位置 Fig.3 The position of samples in the section 1—板岩; 2—千枚状板岩; 3—粉砂岩; 4—细砂粉砂岩; 5—中细粒砂岩; 6—中粒砂岩; 7—含砾粗砂岩; 8—砾岩夹砂岩; 9—砾岩; 10—复成分砾岩; 11—滩前组; 12—山谷旗组; 13—全新统; 14—样品位置. 李朋武, 高锐, 管烨, 等. 内蒙古中部索伦-林西缝合带封闭时代的古地磁分析[J]. 吉林大学学报(地球科学版), 2006, 36(5): 744–758. 李锦轶, 曲军峰, 张进, 等. 中国北方造山区显生宙地质历史重建与成矿地质背景研究进展[J]. 地质通报, 2013, 32(2/3): 207–219. 潘桂棠, 肖庆辉, 陆松年, 等. 中国大地构造单元划分[J]. 中国地质, 2009, 36(1): 1–28. 刘训, 李廷栋, 耿树芳, 等. 中国大地构造区划及若干问题[J]. 地质通报, 2012, 31(7): 1024–1034. 赵春荆, 彭玉鲸, 党增欣, 等. 吉黑东部构造格架及地壳演化[M]. 沈阳: 辽宁大学出版社, 1996. 李锦轶, 高立明, 孙桂华, 等. 内蒙古东部双井子中三叠世同碰撞壳源花岗岩的确定及其对西伯利亚与中朝古板块碰撞时限的约束[J]. 岩石学报, 2007, 23(3): 565–582. 彭玉鲸, 刘爱, 李文锁, 等. 吉林省延边地区二叠纪的三类植物群与古陆缘再造[J]. 吉林地质, 1999, 18(1): 1–12. 张永焕, 彭玉鲸, 欧祥喜. 关于吉林省延边地区二叠纪地层的思考[J]. 吉林地质, 2000, 19(1): 1–12. 邵济安, 唐克东. 吉林省延边开山屯地区蛇绿混杂岩[J]. 岩石学报, 1995, 11(增刊): 212–220. 唐克东, 赵爱林. 吉林延边开山屯地区地层时代的新证据[J]. 地层学杂志, 2007, 31(2): 141–150. 唐克东, 邵济安, 李景春, 等. 吉林延边缝合带的性质与东北亚构造[J]. 地质通报, 2004, 23(9/10): 885–891. 吉林省地质矿产局. 吉林省岩石地层[M]. 武汉: 中国地质大学出版社, 1997. 吴汉泉, 唐克东, 李存有. 吉林延边开山屯地区蓝片岩相变质作用——来自硬绿泥石纤锰柱石多硅白云母组合的证据[J]. 地质通报, 2003, 22(9): 651–654. 周晓东, 殷长建, 彭玉鲸. 吉林延边地区柯岛群之由来及再认识[J]. 世界地质, 2009, 28(1): 37–43. 殷长建, 孙春林, 彭玉鲸, 等. 敦化隆起东缘晚石炭-早二叠世华夏植物群的发现及其地质意义[J]. 吉林大学学报(地球科学版), 2003, 33(3): 258–262. 李怀坤, 耿建珍, 郝爽, 等. 用激光烧蚀多接收器等离子体质谱仪(LA-MC-ICPMS)测定锆石U-Pb同位素年龄的研究[J]. 矿物学报, 2009, 29(S1): 600–601. Liu Y S, Hu Z C, Gao S, et al. In situ analysis of major and trace el-ements of anhydrous minerals by LA-ICP-MS without applying an internal standard[J]. Chemical Geology, 2008, 257: 34–43. DOI:10.1016/j.chemgeo.2008.08.004. Liu Y S, Gao S, Hu Z. C, et al. Continental and oceanic crust recy-cling-induced melt-peridotite interactions in the Trans-North China Orogen:U-Pb dating, Hf isotopes and trace elements in zir-cons of mantle xenoliths[J]. 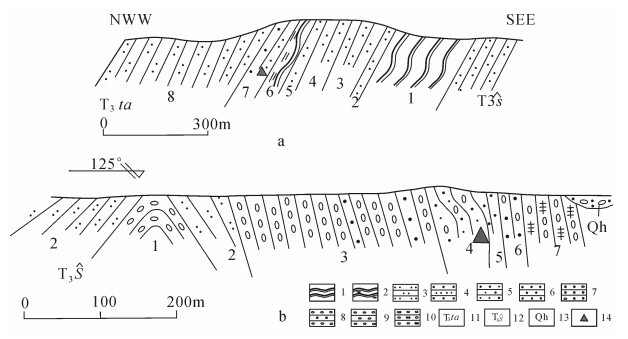 Journal of Petrology, 2010, 51: 537–571. DOI:10.1093/petrology/egp082. Ludwig K R. Isoplot 3.00:A Geochronological Toolkit for Micro-soft Excel[M]. Berkeley: Berkeley Geochronology Center, Califor-nia, 2003. 吉林省地质矿产局. 吉林省区域地质志[M]. 北京: 地质出版社, 1988: 1-698. 唐克东, 王莹, 何国琦, 等. 中国东北及邻区大陆边缘构造[J]. 地质学报, 1995, 69(1): 16–30. 孙跃武, 李明松, 赵国伟. 吉林延边地区早二叠世一个新的陆相地层单位[J]. 地层学杂志, 2012, 36(1): 89–96. 辽宁省地质矿产局. 辽宁省岩石地层[M]. 武汉: 中国地质大学出版社, 1997. 黑龙江省地质矿产局. 黑龙江省岩石地层[M]. 武汉: 中国地质大学出版社, 1997. 曹花花, 许文良, 裴福萍, 等. 华北板块北缘东段二叠纪的构造属性:来自火山岩锆石U-Pb年代学与地球化学的制约[J]. 岩石学报, 2012, 28(9): 2733–2750. 张晓晖, 张艳斌, 袁玲玲, 等. 朝鲜半岛咸北地区晚二叠世基性火山岩的地球化学特征:岩石成因与地质意义[J]. 岩石学报, 2016, 32(10): 3270–3282. 张艳斌, 吴福元, 杨正赫, 等. 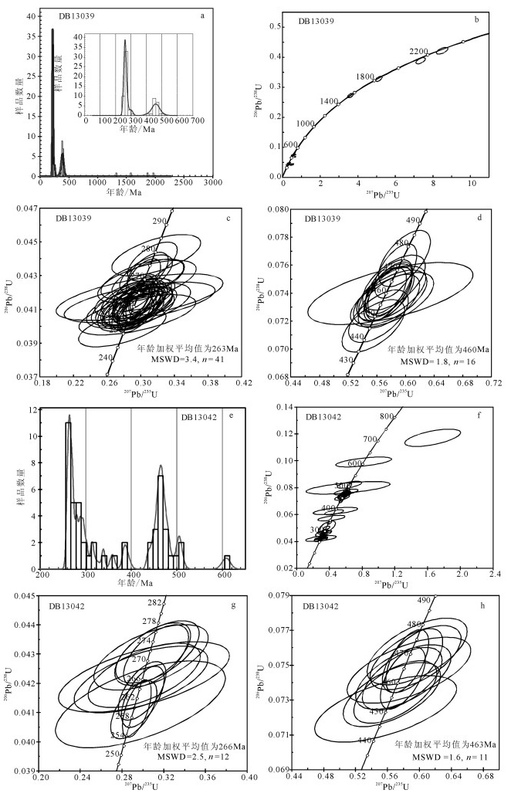 朝鲜半岛北部显生宙花岗岩成因研究及地质意义[J]. 岩石学报, 2016, 32(10): 3098–3122. 逄伟, 孙景贵, 门兰静, 等. 延边东部五道沟岩群的单颗粒锆石SHRIMP U-Pb年代学及其地质意义[J]. 中国地质, 2008, 35(6): 1178–1184. 于介江, 门兰静, 陈雷, 等. 延边地区五道沟群变质英安岩的锆石SHRIMP U-Pb年龄及其地质意义[J]. 吉林大学学报(地球科学版), 2008, 38(3): 363–367. 赵庆英, 李春锋, 李殿超, 等. 延边地区五道沟群辉长岩岩脉的锆石年龄及其地质意义[J]. 世界地质, 2008, 27(2): 150–155. 邱殿明, 张兴洲, 张春艳. 吉林省延边卧龙地区青龙村群地球化学特征[J]. 吉林大学学报(地球科学版), 2004, 34(4): 509–516. 张春艳, 张兴洲, 邱殿明. 延边地区青龙村群斜长角闪岩中锆石U -Pb同位素年龄及地质意义[J]. 吉林大学学报(地球科学版), 2007, 37(4): 672–677. ① 吉林省地质调查院. 吉林省1: 25万延吉市幅等四幅区域地质调查报告. 2007. ② 吉林省区域地质矿产调查所. 吉林省1: 5万后河幅、大兴沟镇幅区域地质调查报告. 1991.